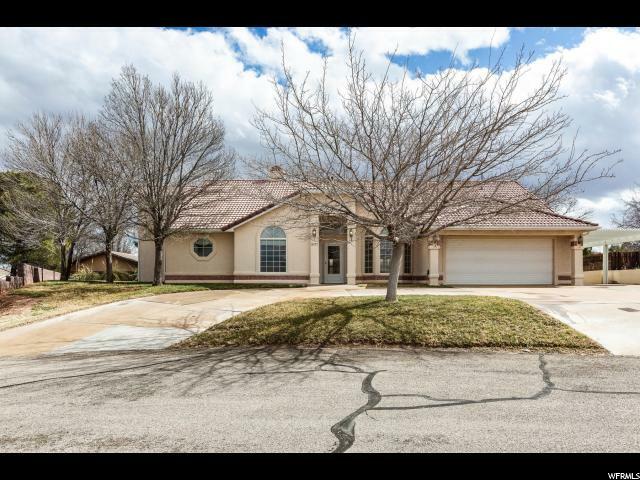 All BLOOMINGTON HILLS homes currently listed for sale in St. George as of 04/18/2019 are shown below. You can change the search criteria at any time by pressing the 'Change Search' button below. "Nestled at the back of a quiet cul-de-sac in Bloomington Hills on a large and fully landscaped lot, this freshly painted home is sure to please even the pickiest of buyers. With 3 bedrooms, TWO gathering areas, large dining area PLUS a breakfast nook, 2 fireplaces, a small loft area, extra covered parking, and covered patio, this home is well kept and offers the flexibility for everyone! The possibilities are endless with this charismatic home. Don't miss it!"